This article is 515 days old. Ontario has expanded the activation area for the Disaster Recovery Assistance for Ontarians program in Windsor, Amherstburg, Lakeshore and Tecumseh. The program was first activated on September 7th, 2017 following heavy rainfall in the area. Expanding the original activation area will allow more residents who were affected by the flood to submit claims for assistance. Due to the expansion of the activation area, the deadline to submit claims for applicants in all of the affected municipalities is extended to March 20th, 2018. 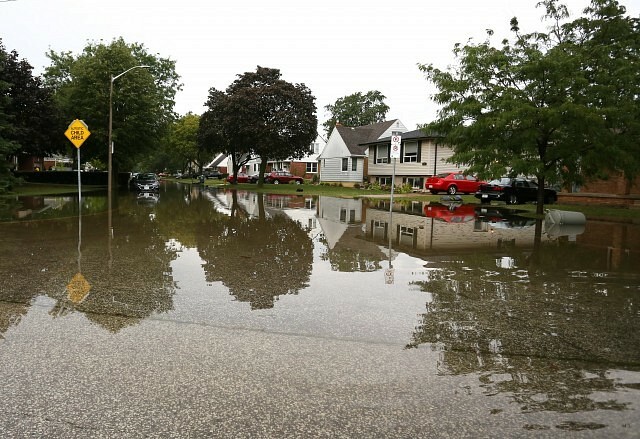 In late August, a series of localized, intense thunderstorms moved across the region, resulting in over 200 millimetres of rainfall and causing flooding in some areas. Affected individuals, small businesses and not-for-profit organizations that have experienced property damage or loss as a result of this disaster may be eligible to receive help with emergency and recovery expenses. Damage from sewer backup is not eligible under the program except under special provisions for low-income households. Find more information and maps of the coverage area here.